My name is Ella Harris. 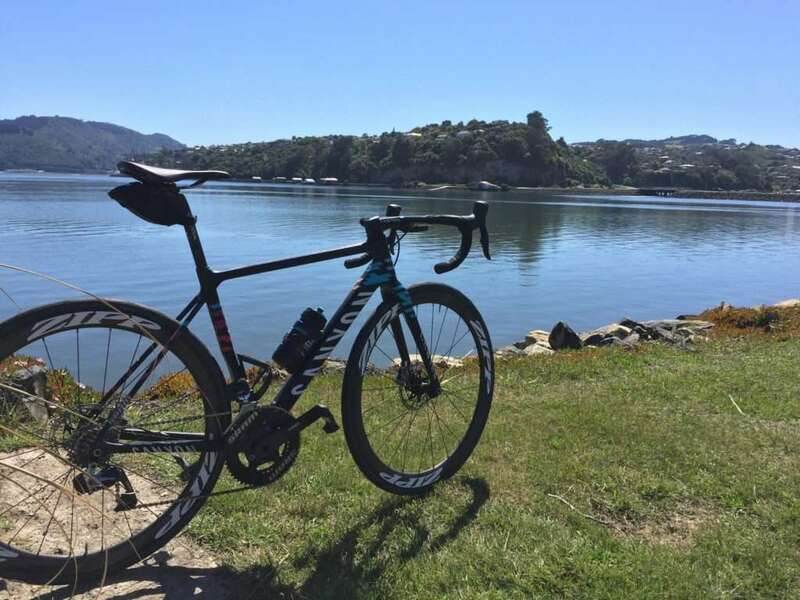 I am a 20 year old New Zealander and in 2018, I was named as the winner of the Zwift Academy and awarded a contract with Canyon//SRAM for 2019. It’s truly a great honour to be writing content for Voxwomen; a website that I have been drawn to many times previously to read and gain insight from the wonderful contributors, many of whom I will be lining up with in races later on in the year! I don’t exactly feel as if I am quite yet ‘qualified’ enough to hand out advice or wisdom at this extremely early point of my professional cycling life, but I hope to provide the inside scoop and recount some of my experiences in the world of top women’s cycling throughout the year as I become fully immersed in it myself. Currently I live at home with my parents and younger brother in Dunedin, a city of approximately 120,000 people towards the southern end of the South Island of New Zealand. It’s the second biggest city in the South Island and is situated around the Otago harbour and coast. It is very undulating and hilly terrain so you can’t exactly avoid climbing, but because of this, the scenery and views are pretty sweet. I really enjoy cruising alongside the harbour all the way to the headlands, before climbing into the surrounding hills and looking out over the sea and beaches. Aside from cycling, I am currently studying towards a degree in food marketing online, and I also work at a local supermarket throughout the week. 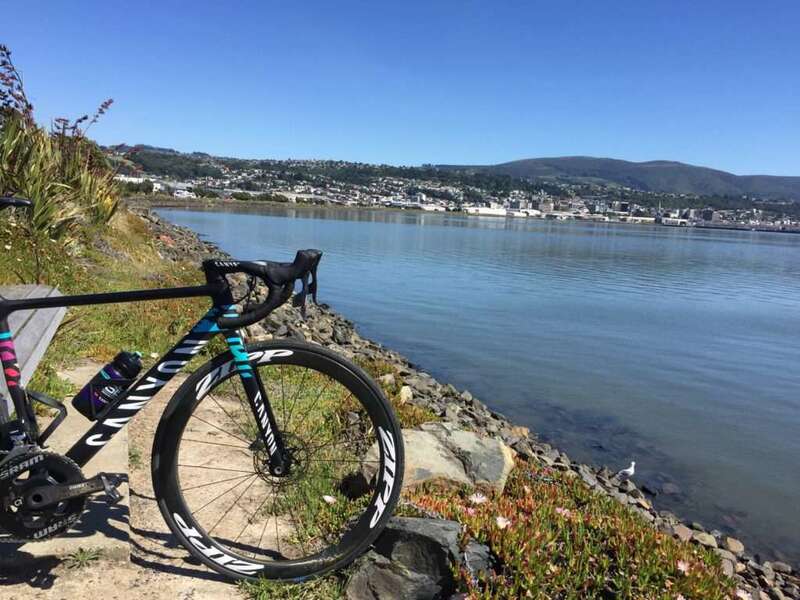 I first decided to fully concentrate on cycling nearly five years ago, not long after I moved to Dunedin from Christchurch, and joined the local cycling club. 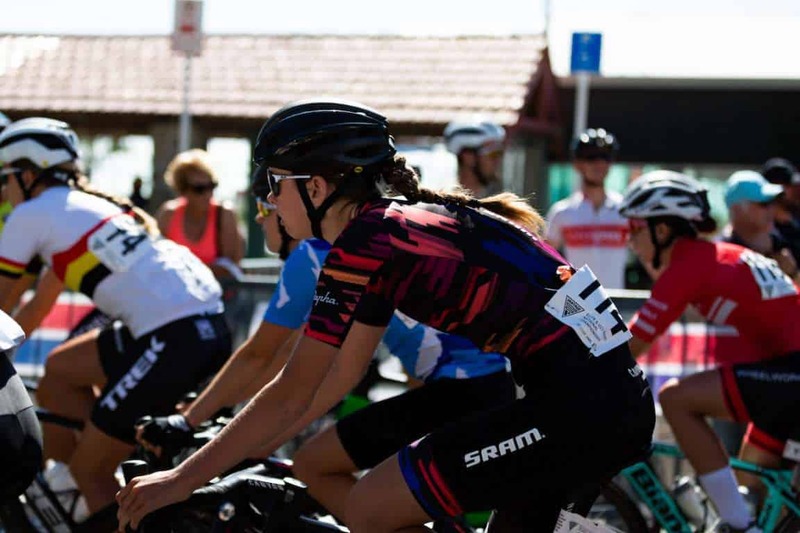 I was competing in both triathlon and running to national junior level, but stopped both of those in order to see where cycling could take me. 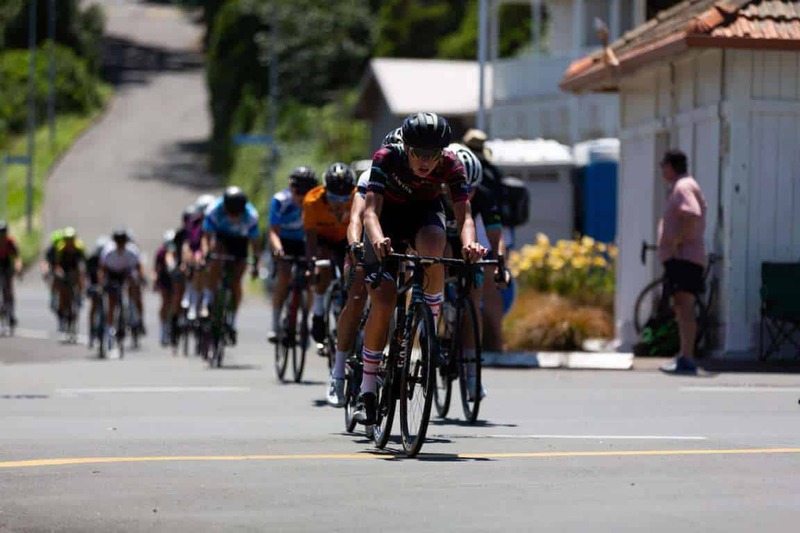 Ever since then, I’ve been steadily progressing in areas both on and off the bike, and have raced for NZ National U19 Development teams and the NZ Elite Women’s National team, in addition to being a member of a couple of domestic women’s racing teams. I have gained solid results nationally in an ever-growing and strengthening women’s field in NZ and have raced internationally in Australia, USA and Canada. I initially signed up for the Zwift Academy while in the US, and conveniently it was due to start the week after I returned. I had actually decided against completing it as I wasn’t too sure how it would fit in with my training and racing at home, but a friend asked me whether I was doing it, and that was the wee nudge that I needed to contact my coach and get it slotted into my programme. Looking back on it, it’s very pleasing and such a relief that I decided to take part and get stuck into the first few sessions! I’m so thrilled to be the winner of the 2018 Zwift Academy and to have such an incredible opportunity present itself in a sport where it can be very difficult to get the exposure and results needed for doors to open. The life-changing year I’m beginning to embark on will fulfill so many of the ambitions and goals that I had set for myself previously, yet I had never envisaged that I’d be able to tick them off so soon. I certainly haven’t landed myself in this position of signing a professional contract through the means by which most people would go about it, and I’m proud of myself for taking the leap and signing up for Zwift Academy and giving the entire process my absolute all. I know there are people who are perhaps envious or slightly miffed that I have been able to almost ‘leapfrog’ the uncertainty that comes trying to ‘make it’ in cycling and that I have seemingly had this contract handed to me with very little work required, but I for one know the effort that went into the whole process and certainly don’t see it that way at all. The entire Zwift Academy process was without question, the most stressful and nerve-wracking three months of my life, as well as involving some of the hardest sessions that I’ve ever completed on the bike. If anything, it’s helped a lot with my self confidence and enabled me prove to myself that I’m capable of a lot more than what I give myself credit for. Even if I hadn’t progressed as far as I did, there would have been so much to take away from the whole experience as I learnt a lot about myself and my strengths. The idea of Zwift and the Academy is still a very new and radical concept for some to get their heads around, and I’ve detected an undercurrent of discontent and ignorance that surrounds the whole programme, particularly from a few in New Zealand after my win, and how somebody like myself can find themselves diving headfirst into a world tour team. 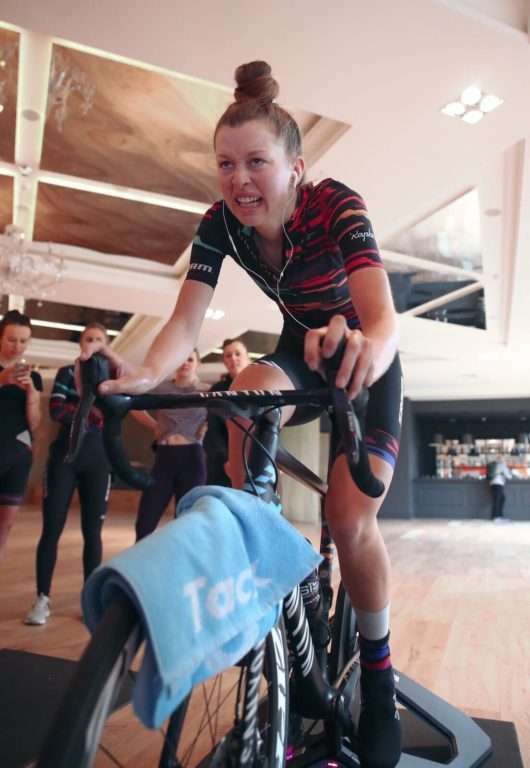 The key point to make is that the Zwift Academy is driven by looking at a person’s physiological capacity and output, and their potential to match it with the best in the world tour peloton through constant comparison and analysis. If a team were looking for an already developed and recognised world class rider, they would find one through other more common means, so the goal rather is to scout for untapped potential that can be developed and nurtured. One would argue that there is no better way to do that than under the best possible conditions in one of the world’s top women’s professional cycling teams like Canyon//SRAM. In today’s world of data driven sports performance, the numbers and statistics behind a rider play a major role in determining their capabilities out on the road and in a race, with the Zwift Academy almost flipping the traditional process of talent scouting in cycling. It enables the identification of those already with the required physical ability, and then allows them opportunities for exposure, experience and ultimately results in races, rather than the riders searching first for those illusive race results to get themselves noticed. I’m excited to be maintaining and growing the Zwift Academy legacy and reputation, and I hope to show through my own race results and performance that Zwift is indeed an effective method of ‘talent scouting’. For me personally, I see the Zwift Academy as such an exciting prospect for others in my situation who want to make it as far as they can in the sport, but just don’t know where to start or how to go about it. In 2018, I made a couple trips to race in Australia and in the USA, and while these were great for experience and development, I found myself slowing coming to the realisation that the financial investment needed to fund further racing trips would be enormous and potentially just too much for what it was worth. It’s quite disheartening when you’ve got the desire and the aspirations but very limited resources to try and reach them. So far, my year has gotten off to a fairly relaxed start. I had my first event in the Canyon//SRAM colours at the NZ Elite Road National Championships, and even though my legs were lacking a little speed and freshness (I may have gone a bit overboard in the Rapha Festive 500…), it was great to represent the team, and race for the first time in a while. My next race will be another in New Zealand, this time the UCI 1.2 Gravel and Tar where I will be riding for the NZ National team. A week or so later, I’ll be off to my new base in Girona to get familiarised before a Canyon// SRAM training camp ahead of the European season. That’s all from me this time, but I look forward to sharing my adventures and thoughts on here throughout the year! In the meantime, you can keep up to date with my whereabouts through my Instagram, @elllaharrris. Thanks for reading and stayed tuned!